It's been raining non-stop here in Cincinnati today. However, my feet are staying dry in my favorite pair of red Hunter boots. 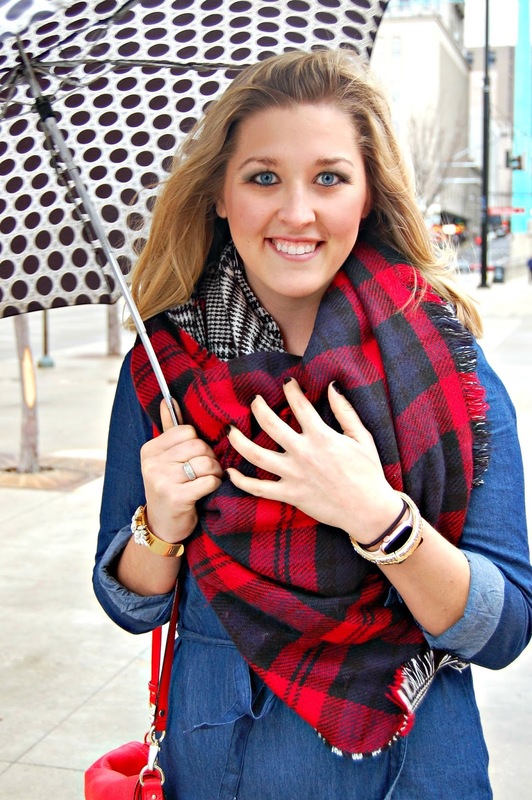 The wind has been crazy as well (explains why my hair looks so crazy), so my plaid/houndstooth reversible blanket scarf was the perfect accessory to stay warm in this denim wrap dress. 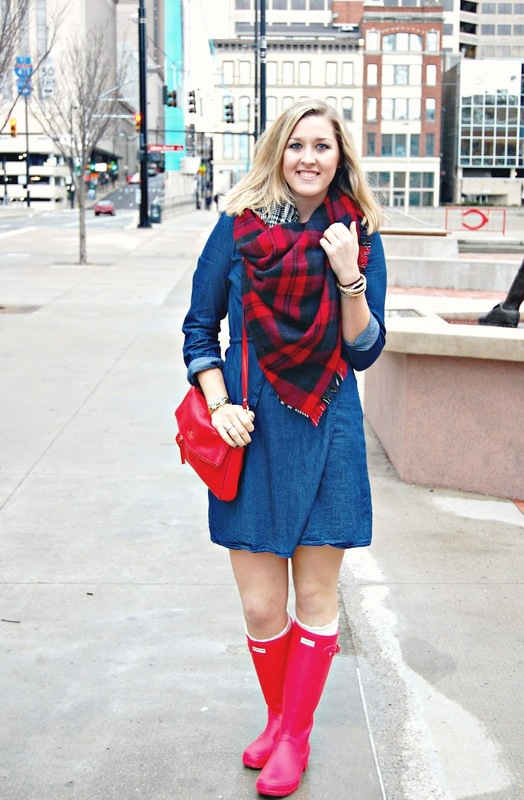 love that scarf with the chambray dress! !